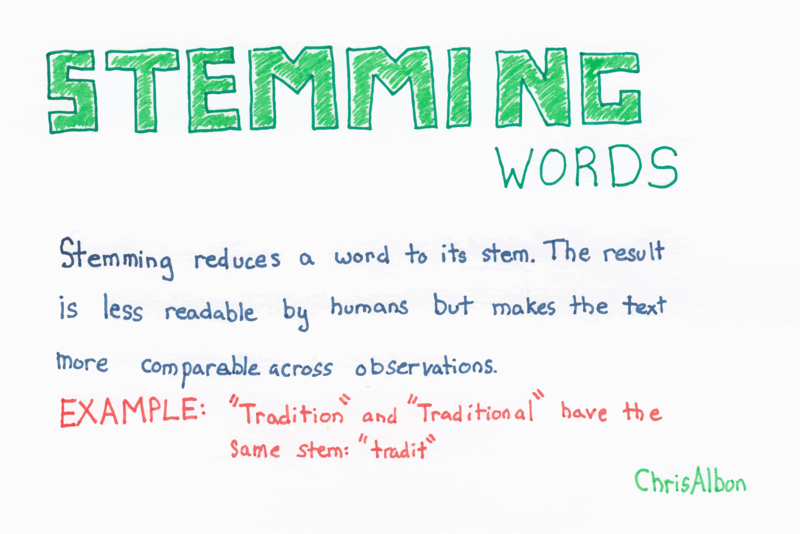 Stemming reduces a word to its stem by identifying and removing affixes (e.g. gerunds) while keeping the root meaning of the word. NLTK’s PorterStemmer implements the widely used Porter stemming algorithm.